Big announcements can come in small packages! Promote your big event with the economical All Purpose Circle Club Flyer. This blue, orange and tan flyer has nineteen lines for all your event details. Pair with a Matching Event Kit for coordinating tickets, posters and invitations! 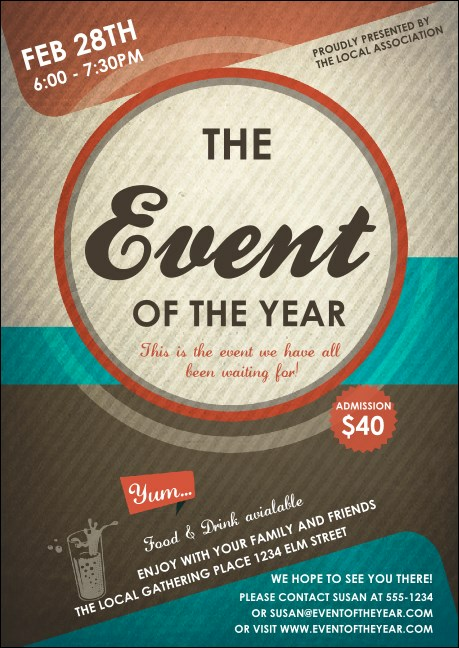 Draw a crowd to your festivities with the right club flyer from TicketPrinting.com.